Looking for an easy-to-follow math workbook that makes learning fun? Alpha Omega Publications has just what you need—the Horizons 1st Grade Math Student Book 1! This brightly illustrated, workbook will capture your homeschooling child's attention with colorful, consumable lessons that include writing and counting numbers by 1's, 5's, and 10's to 100; recognizing even and odd numbers; understanding ordinal numbers, number sequencing, place values, time and calendar concepts; using number lines; counting money; and working word problems. But there's more! Evaluating your homeschool child's progress is easy too with the comprehensive review tests that follow each series of 10 lesson plans in this Alpha Omega curriculum. Plus your child will love each lesson's easy-to-remove worksheets that enable him to proudly display his math lessons on the refrigerator or wall. Don't wait to try this best-selling, elementary math curriculum. 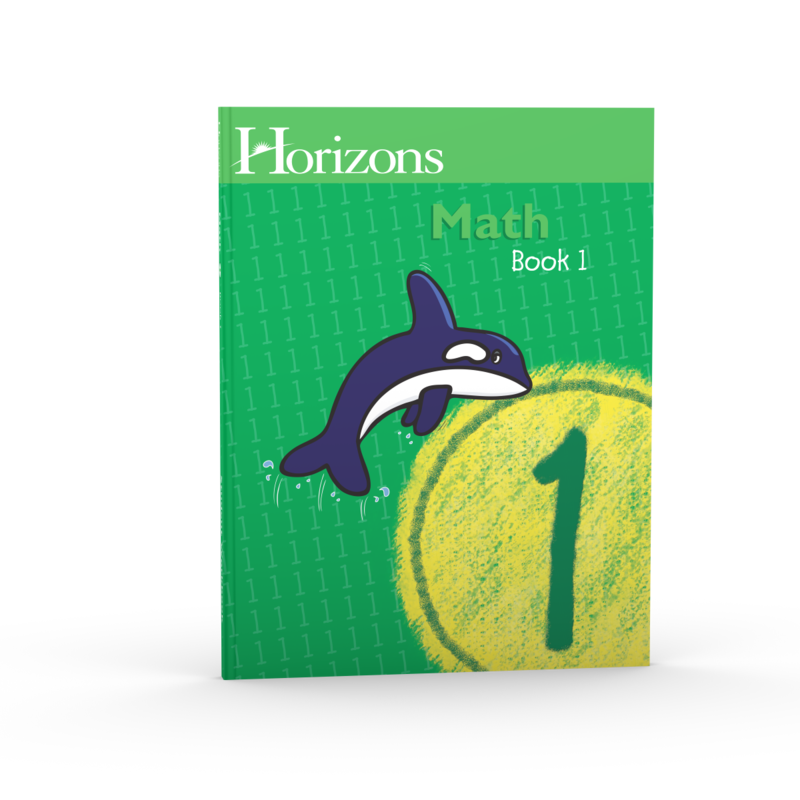 Order your Horizons 1st Grade Math Student Book 1 today and see how fun and easy it is to teach math to your child.